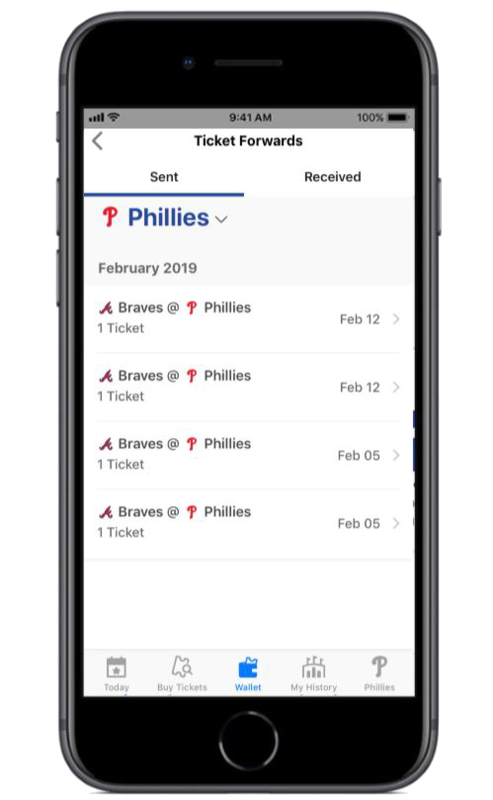 Here is a look at Mobile Ticketing and the functionality the MLB Ballpark app has to offer. 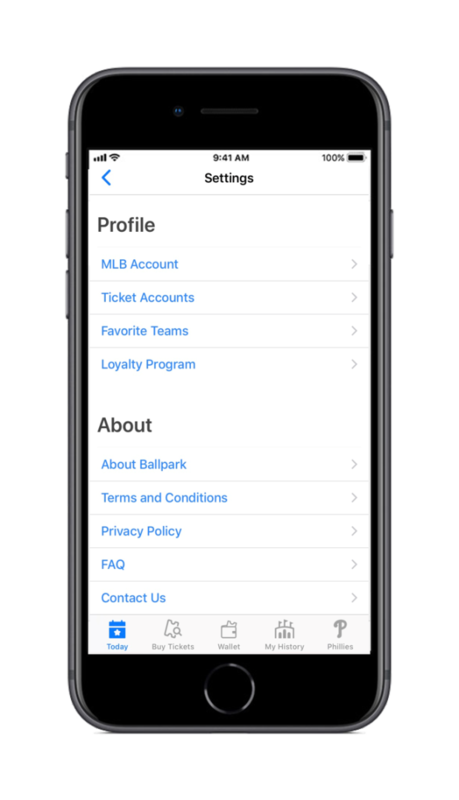 Download the MLB Ballpark app and get started today. Please continue through the presentation for instructions on linking your account, accessing your tickets, forwarding your tickets, and to take a look at some frequently asked questions. Thank you! 1. Visit the Apple App store or Google Play store and search "MLB Ballpark" to download the app. 2. 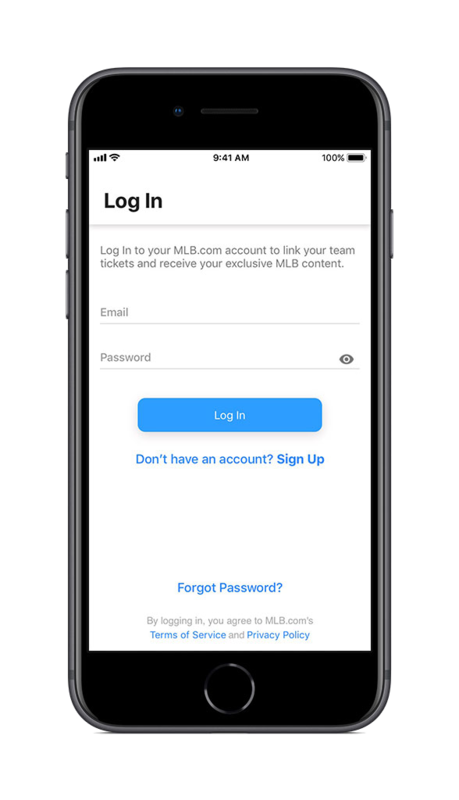 Log in with your MLB.com account information or follow prompts to create an account. 3. 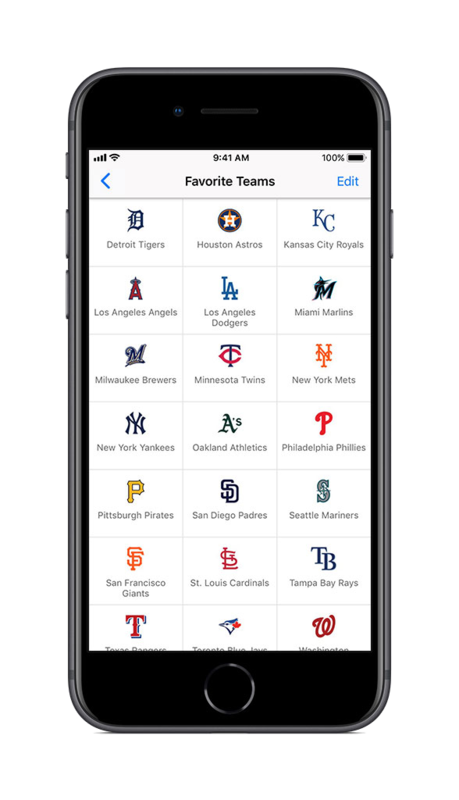 Once logged in, tap Edit in upper right corner and choose Phillies as your favorite team. 1. 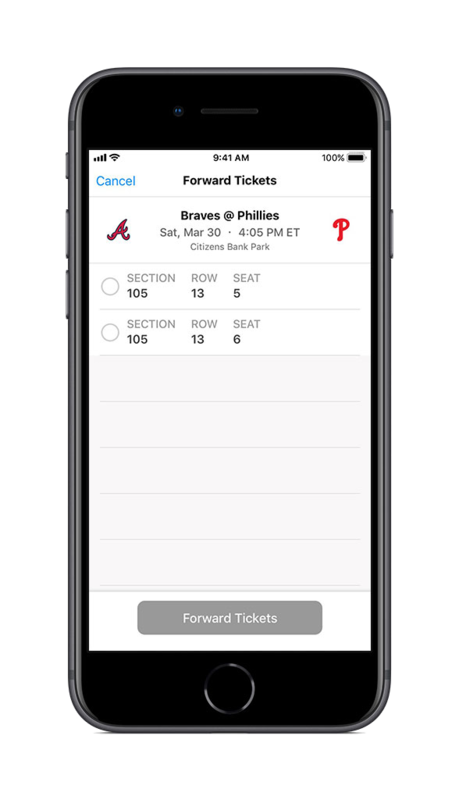 In the Today tab, tap the Settings icon in the upper right corner of the screen and tap Ticket Accounts. 2. 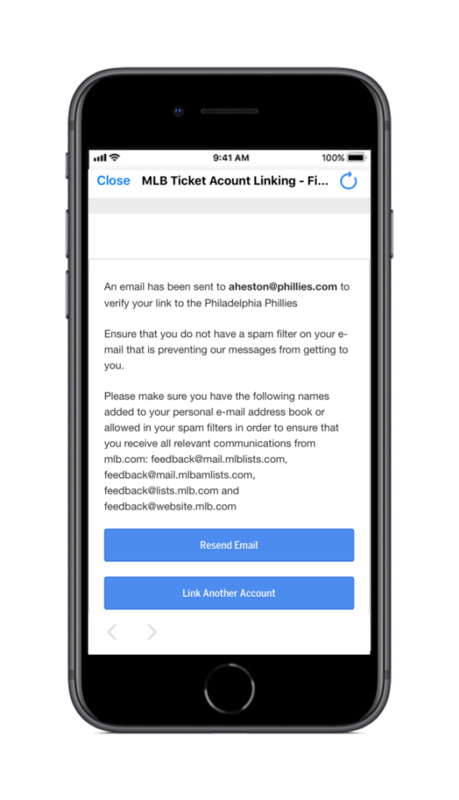 Tap the "Link Ticket Account" button, then choose Phillies as your team, and enter the email address associated with your ticket account. 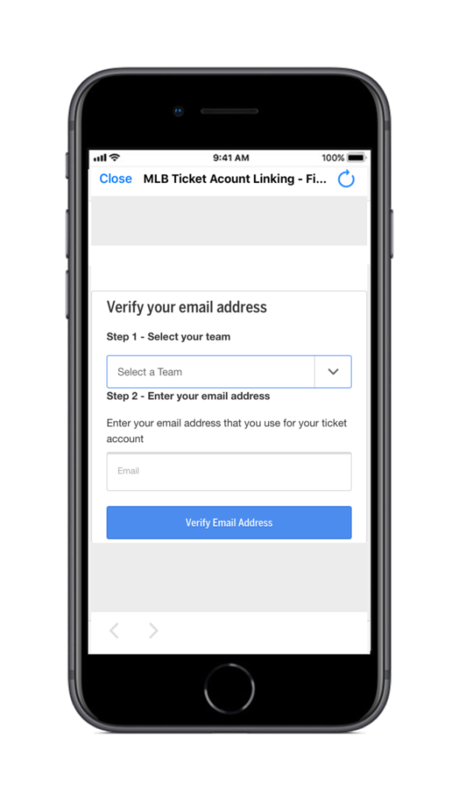 MLB.com will send an email there to verify your email address. 3. 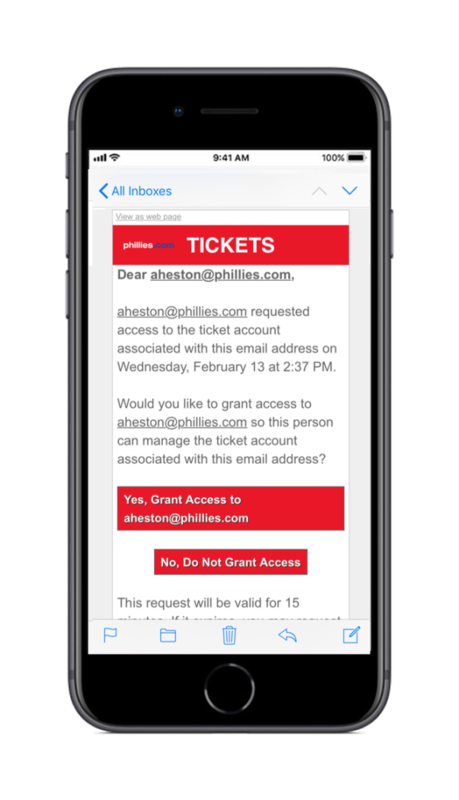 Click on the "Yes, Grant Access..." link sent to your email address then your ticketing account will be linked to your MLB.com account. 4. Under Ticket Accounts, you should now see your linked ticket account. 1. 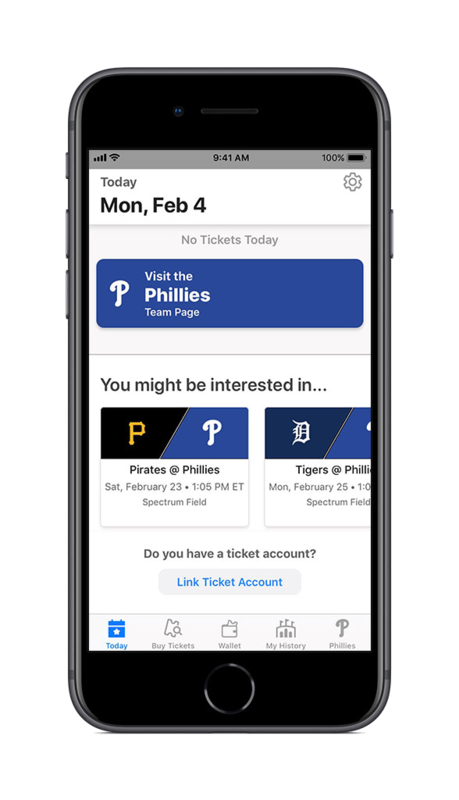 To access your ticket inventory, tap the Wallet tab. 2. Choose your game, then tap View on specific seat or parking pass and your ticket barcode will display. 3. Optional: Once barcode is displayed, tap Add to Apple Wallet icon. 4. Scan at the turnstile for entry, and if you have multiple tickets, swipe to show other barcodes. *To make sure your inventory is up to date, pull down on the screen to refresh data. 1. 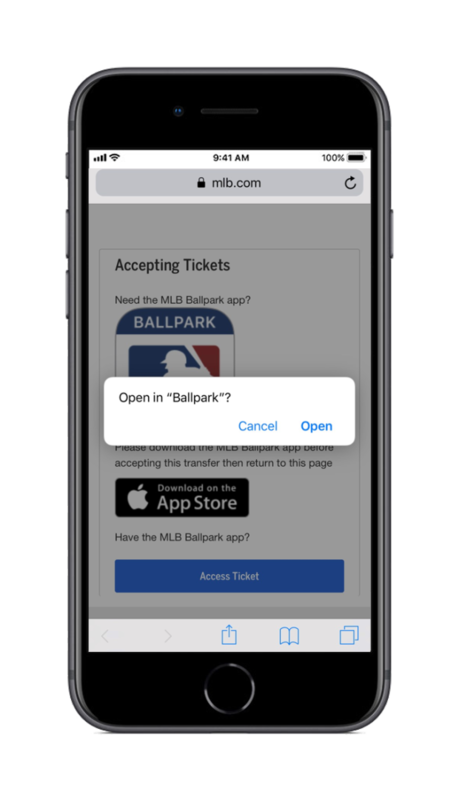 Tap the Wallet tab to access your ticket inventory. 2. Choose the game and tap Forward Tickets. 3. Choose the seat(s) you wish to forward and tap the Forward Tickets button. 4. Choose Share Link to send to recipients in your phone's address book. You have the option to send via text message or email. 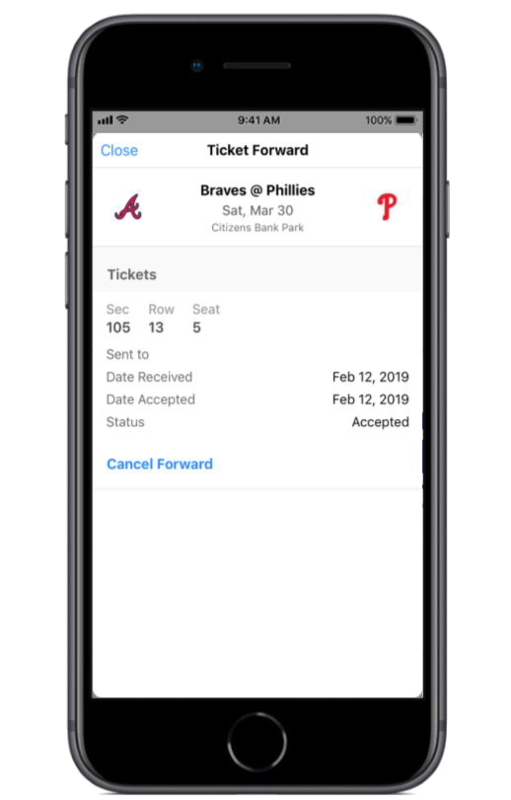 Once you have forwarded the ticket, your original tickets will no longer display a barcode. 1. 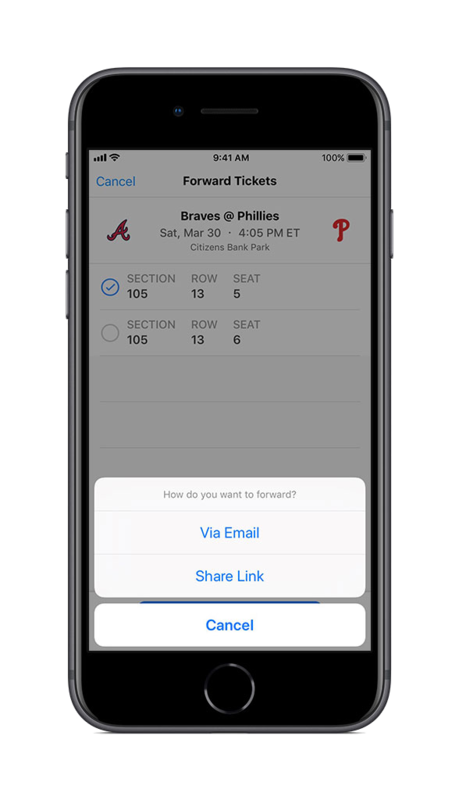 Recipient will receive a text message or email with a link to the forwarded ticket(s). Once forward occurs, the sender will receive confirmation email that ticket(s) was forwarded. 2. 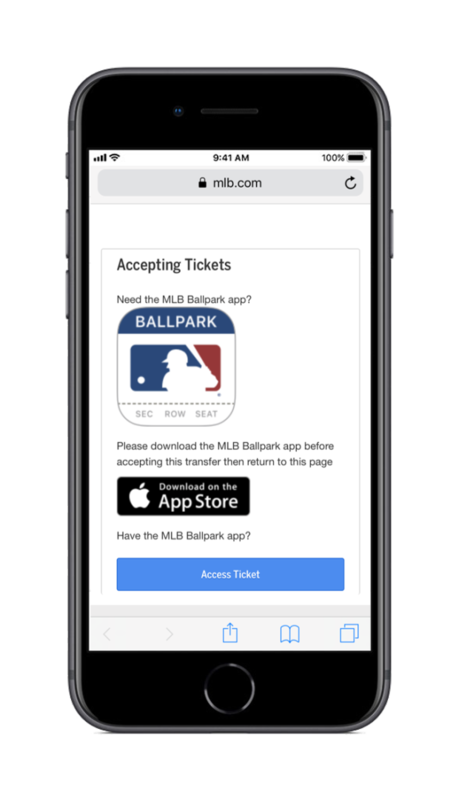 Recipient taps Access Ticket and will be directed to download or open MLB Ballpark app. 3. 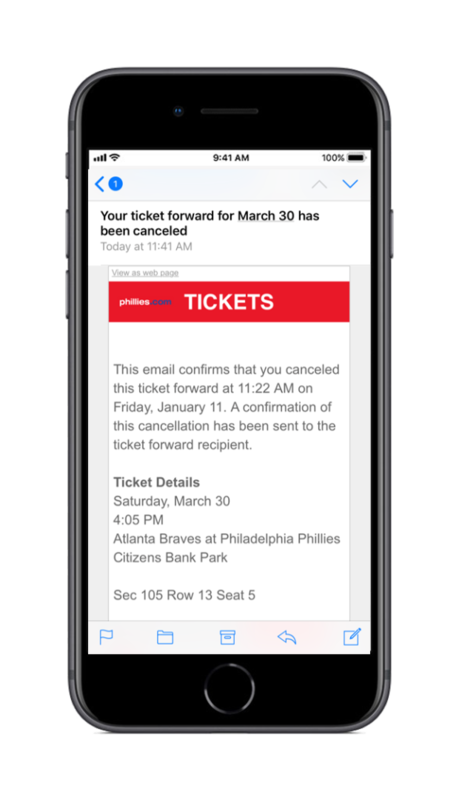 Once in the app, recipient will receive a pop up message that the ticket was accepted. 4. 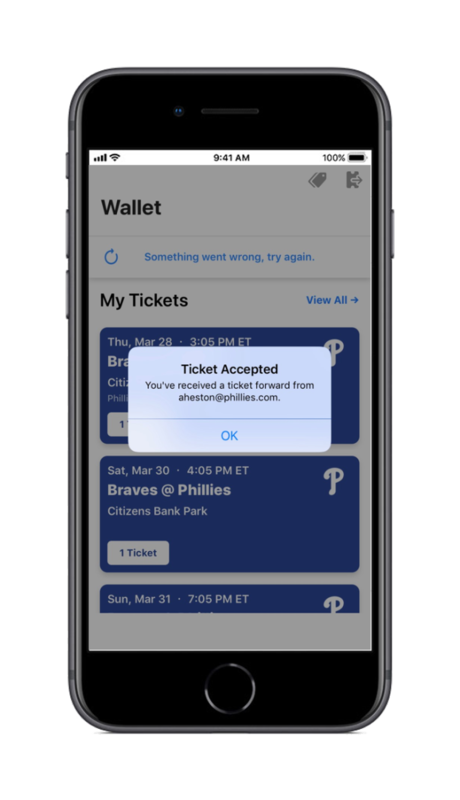 After tapping OK, recipient will see ticket(s) in their Wallet in the app. 1. Under the Wallet tab, tap the forward icon in the upper right corner. 2. On the Sent tab, you will see your forward history. 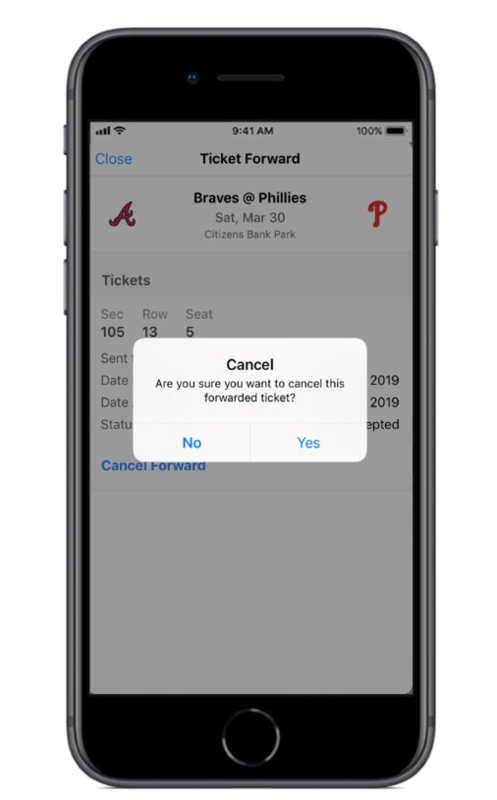 Choose the forward you would like to cancel. 3. On the forward details screen, tap Cancel Forward. Confirm that you wish to cancel forward. 4. Forward recipient and sender will receive an email confirming cancellation. Ticket barcode(s) will now be active under the sender's ticket inventory once ticket data is refreshed. 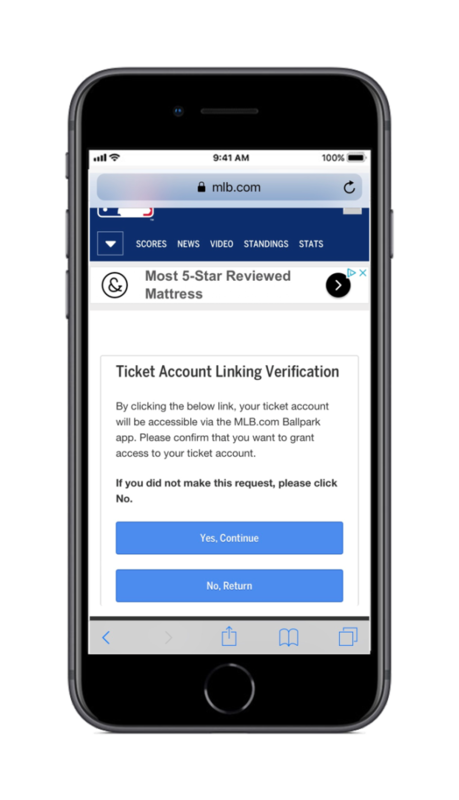 Do I need an MLB.com account to use the Ballpark app? Mobile charging stations are available for guest use on the main concourse. 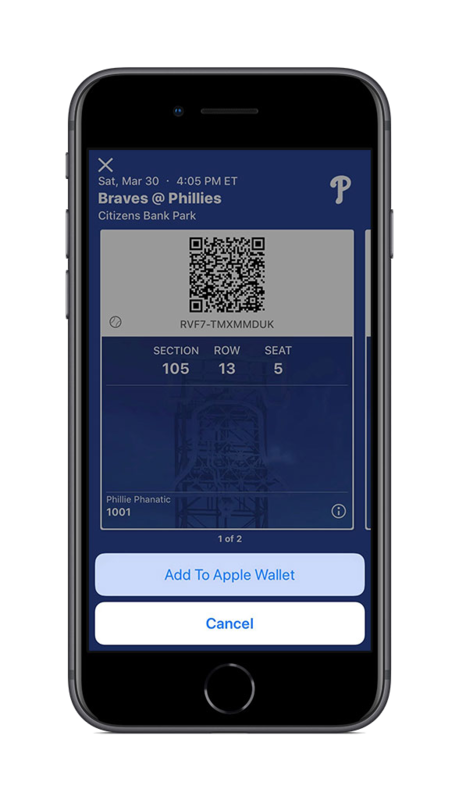 In addition, we encourage fans with iPhones to place their tickets in Apple Wallet for offline use. 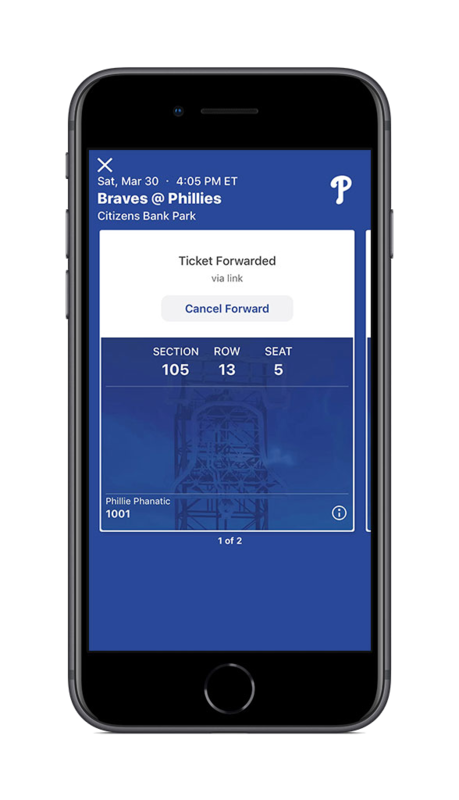 If you are still unable to access your tickets, please visit a ticket window at Citizens Bank Park. 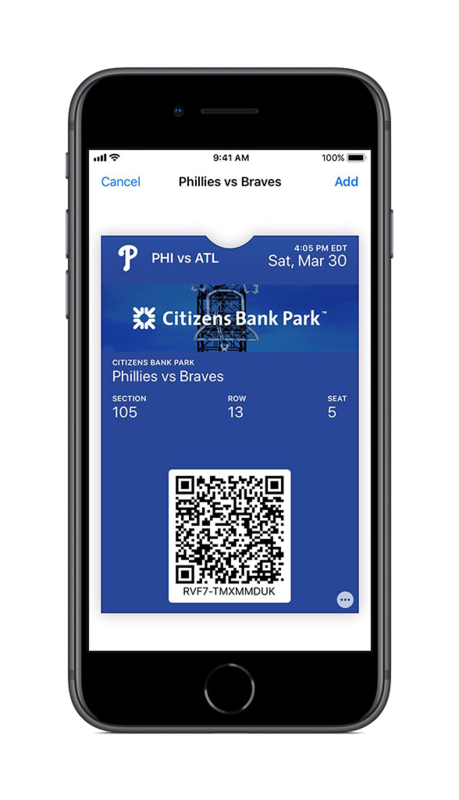 As long as you have a photo ID and a valid Phillies ticket account, we can reprint your tickets. If I have more than one ticket for the game, do I have to present all tickets at the same time? 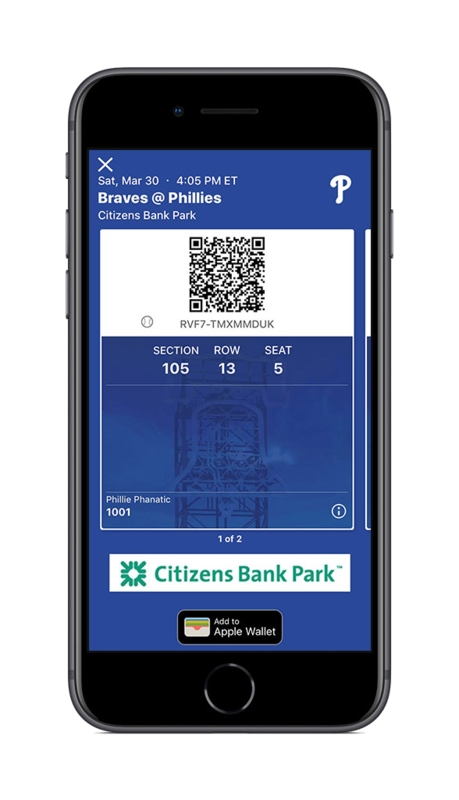 All active and unrestricted tickets associated with your Phillies ticket account will be displayed and available to present to be scanned for entry. 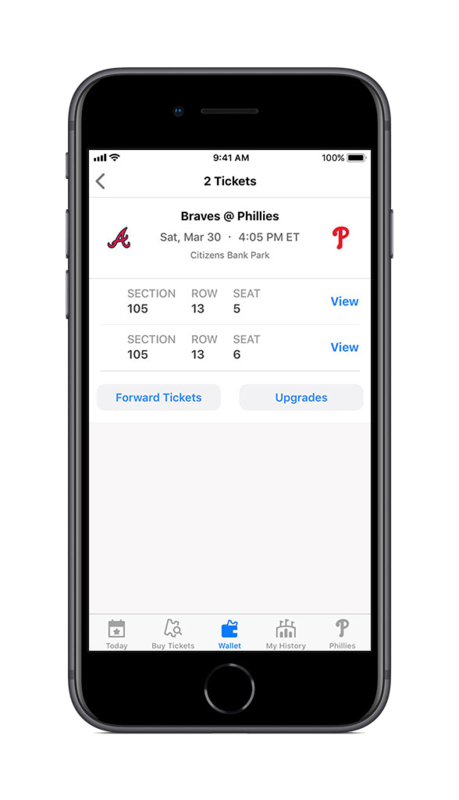 When in the scan view within the Ballpark app, simply swipe to reveal additional tickets. If guests will be arriving separately, we recommend forwarding tickets to each individual guest in advance.